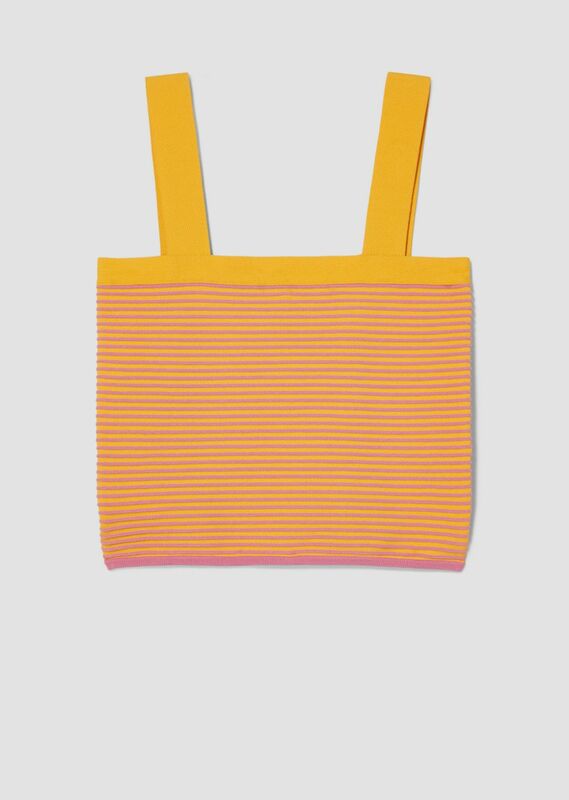 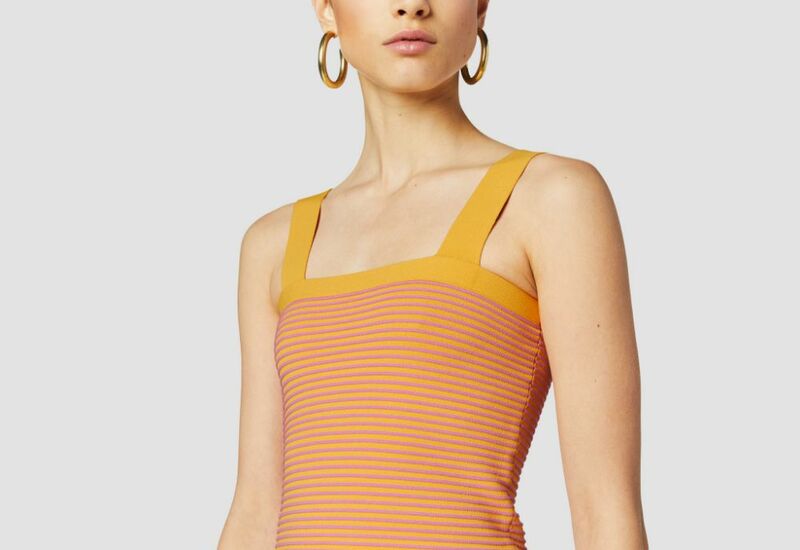 Knitted sleeveless crop top in tangerine orange with pink stripe detailing. 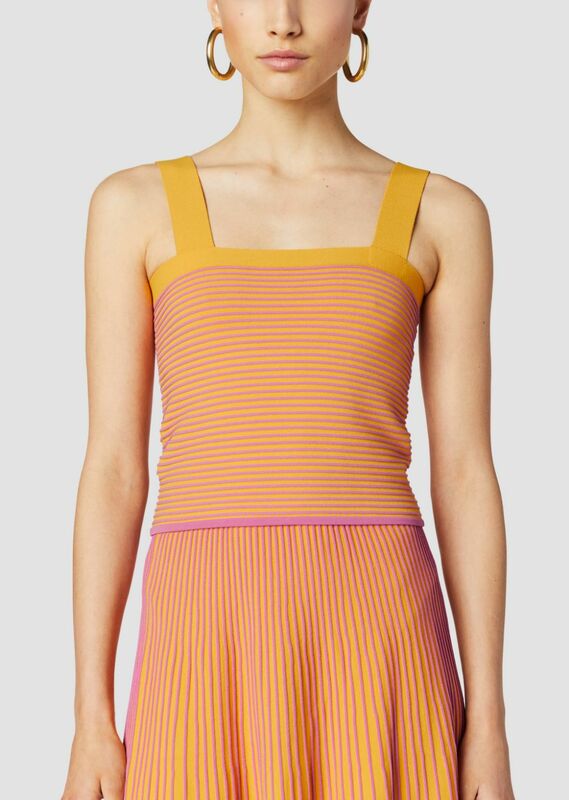 Square neckline with wide orange shoulder straps. 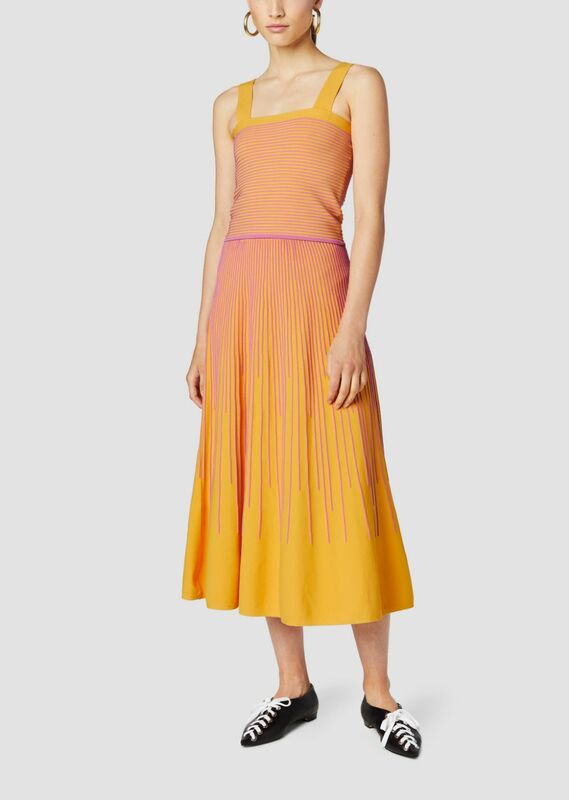 Contrast hem in pink.